Learning and development of children takes place in totality. All the domains of development i.e. physical, motor, cognitive, language, socio-personal, emotional and creative and aesthetic appreciation are interrelated and take place simultaneously. The theme based curriculum of KiDeens enables young children to relate to the real world based on what is experienced in class. 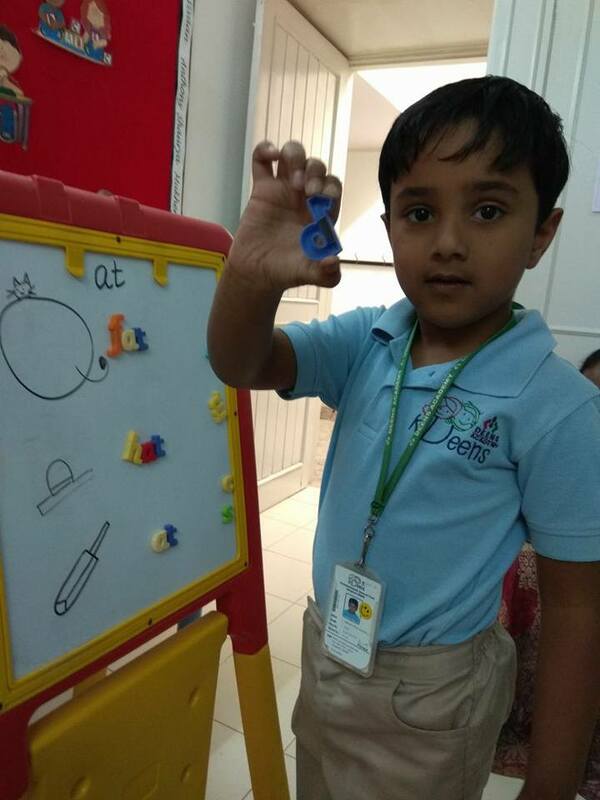 Events, field trips, competitions, craft activities, music and dance are tied in to connect with the theme so that concepts are explored and reinforced for new vocabulary and concepts, which their eager minds seek. We use both the Playway and Montessori methods of facilitation to achieve this goal.